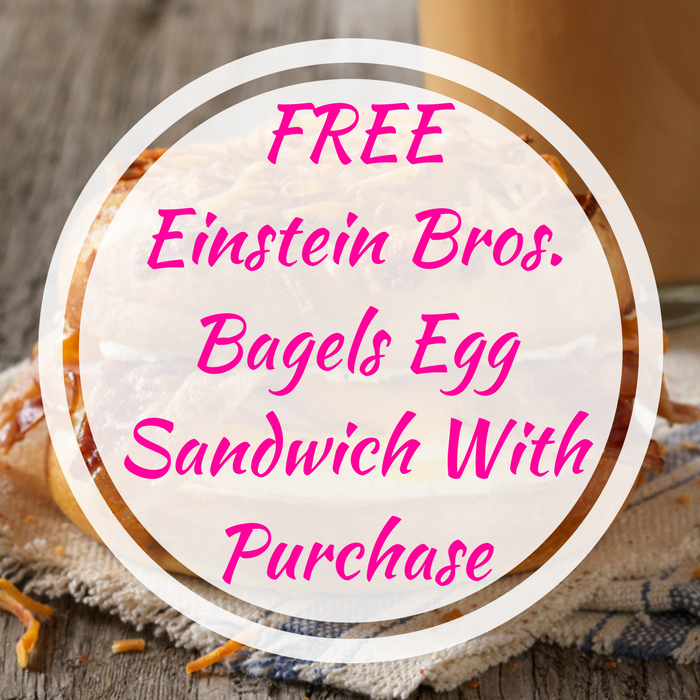 FREE Einstein Bros. Bagels Egg Sandwich With Purchase! You are here: Home / FREEbies / FREE Einstein Bros. Bagels Egg Sandwich With Purchase! Until February 28 only! You can score a FREE Einstein Bros. Bagels Egg Sandwich with any purchase and when you sign up to get one of their FREE ringtones! All you need to do is click here, select the ringtone you’d like to receive, enter your email address to receive the ringtone of your choice in your inbox and score the FREE Egg Sandwich coupon. Please note that the coupon is valid only at Einstein Bros. Bagels participating restaurants. Don’t miss it!